Singing Playgrounds is an established, award-winning whole-school singing programme in which we train children to lead others in singing play. 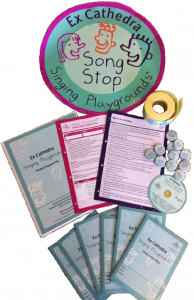 Singing Playgrounds combines training for teachers, leadership training for children, and comprehensive resources and activities for every member of the primary school community. 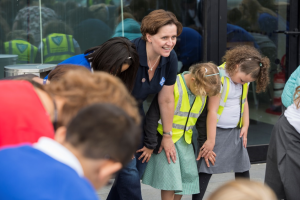 Since its creation in 2004 by Rebecca Ledgard, Director of Education, and Ula Weber, Singing Playgrounds Project Leader, Singing Playgrounds has become a highly regarded and sought-after project across the UK and internationally. To date the project has been delivered in nearly 1000 primary schools across the UK and has travelled to Singapore, Thailand, New Zealand, Belgium, Uganda, Hong Kong and mainland China. Numerous training events and conference presentations for teachers, singing leaders and students have taken place complementing the work of the project. Many Singing Playgrounds celebrations and performances have taken place, and highlights include 2000 children in a park, the Royal Albert Hall, and at a global inaugural summit in front of Desmond Tutu. Singing Playgrounds builds a singing culture across a cluster of schools, and we offer flexible packages of activity, resources and CPD. 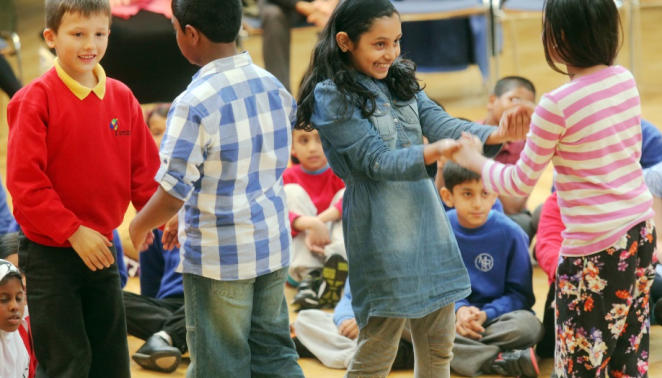 We can offer you a tailored package of activity, resources and CPD to build the singing culture in your school, or across a cluster of schools. Singing Playgrounds won of Best Musical Initiative, Music Teacher magazine, 2014, and was listed as one of the top choral initiatives in the world by Koor & Stem, 2013.